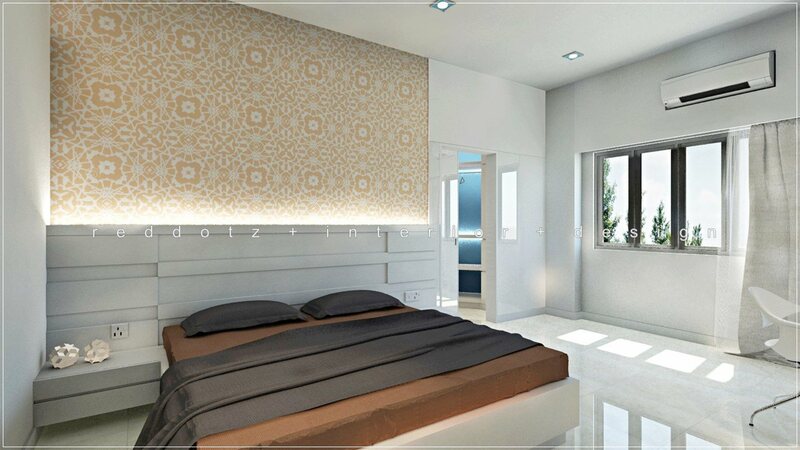 A minimalist simple modern condominium bedroom design for ever grow city home living. The timber bed head, bed base, curtains, dressing table and chair been all selected in white colour. Colourful wall paper, blanket, pillows and bed spread make the sleeping bed the central focus on the general white toning room ambiance.